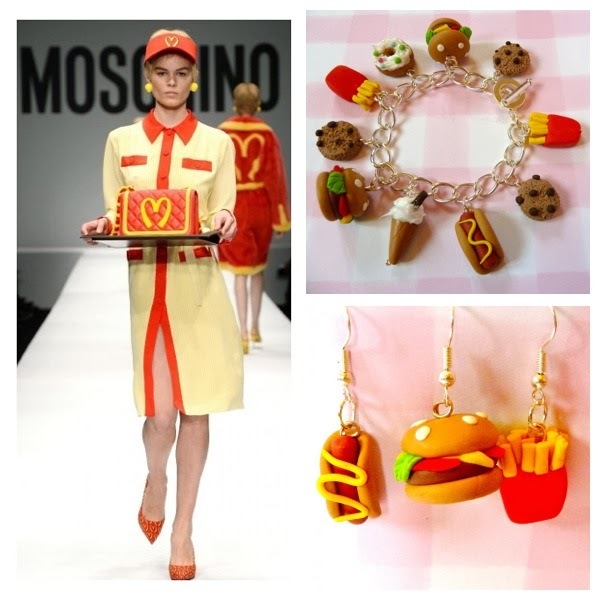 When I heard that Jeremy Scott – the king of sartorial pop culture known for his garish loud designers had been named head designer at Moschino, I knew he was bound to create a colourful crazy collection for his debut at Moschino, but he wowed us all when he sent this fast food inspired collection down the runway at Milan Fashion Week. 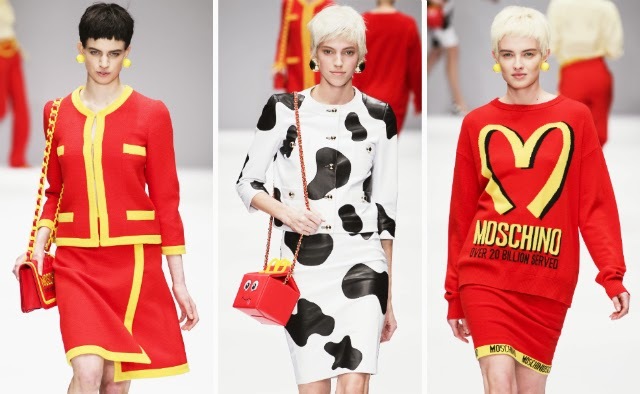 McDonalds, Spongebob Squarepants and Hershey’s chocolate were all counted as inspiration for the collection, with junk food references mixed with classic Moschino styling. 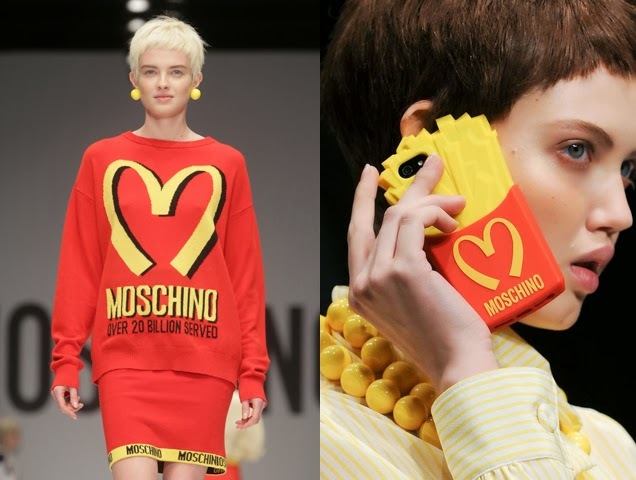 Fashion bloggers and street style fashionistas were quick to snap up the reconstructed McDonalds/Moschino M (which apparently is just about legal without stealing Mcdonalds trademark!) but will this be a fad, or will we be seeing fast food references cropping up on the high street? If you read my valentines gift guide, you’ll know how this is a cheeky plug for my own jewellery – yep all of those little charms were handmade by yours truly! If your eyesight is incredible and you can read the comment from Kerbstagram, she is referring to our sixth form disco (way back in 09!) 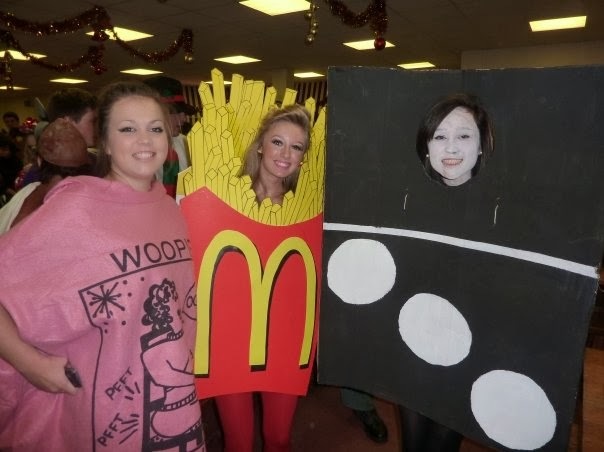 where we had to dress according to our initials, and as mine are JF, I went as Junk Food – see picture below… I was just so ahead of the trend!! 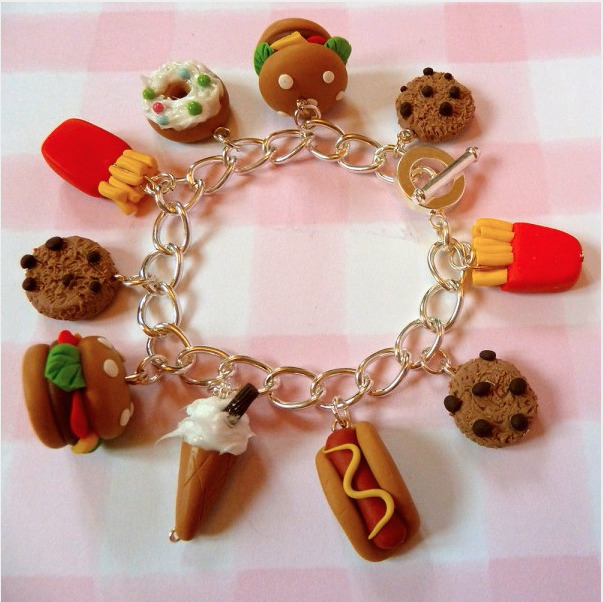 So if you love the idea of the Junk Food trend but can’t see yourself dressing head to toe in McDonalds uniform, then do check out the Pick n Mix section on the Fiction Jewellery website for bracelets, necklaces, earrings and more all inspired by your favourite sweet treats! 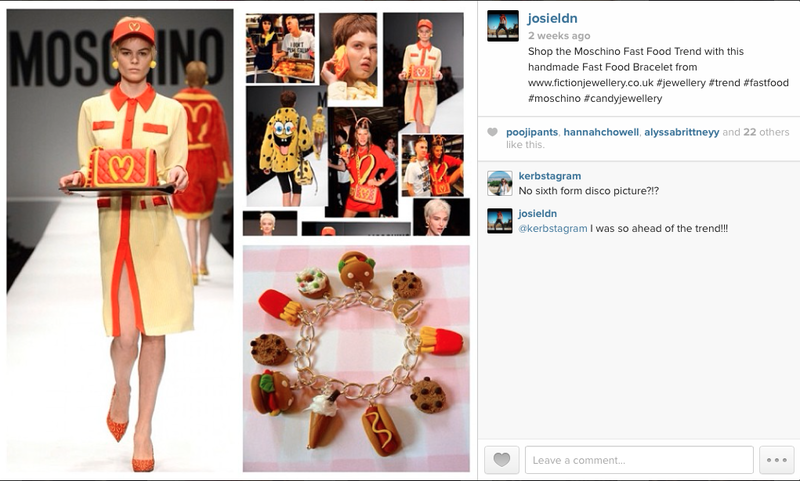 So my verdict for Moschino AW14? Ba ba ba ba baaa, I’m loving it! Previous Post OMG I’ve finally got the Naked3 Palette!